We are having a blast looking into the world of insects! 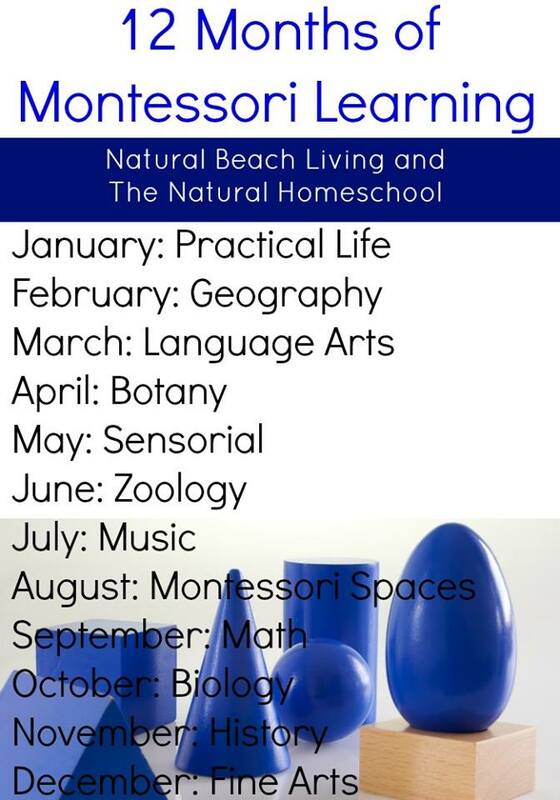 In this post, I will show you how we are learning the different parts of an insects as well as the source of our materials. The absence of these insects (except for ants and ladybird) during the time we have this study. No grasshoppers (tropical country) and no butterfly at all! We cannot dissect ladybird and ants. They’re just too tiny! With these, we just used our nomenclature cards and animal figures. Speaking of animal figures, I highly recommend Safari Toobs Insects. You can easily demonstrate the body parts because of the details in the figures. 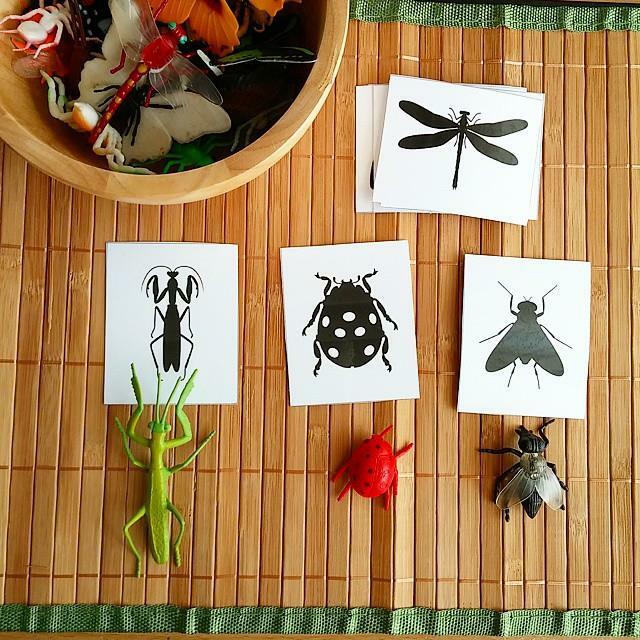 FREE Insects and Spider Silhouette Cards. Mavi loves to trace the puzzles and made his own version of butterfly. The puzzle was also enjoyed by Vito. He loves butterfly (even if he hasn’t seen one yet) and chose to work on the puzzle. Did you like this post? I recommend you pin this for later! Receive notifications of my updates, giveaways and freebies instantly by following my social media sites. I would love to have you on baord! These are the many ways to use our FREE Insects and Spider Silhouette Cards! Print two copies and you can have a memory game! Use it as a pattern for drawing. 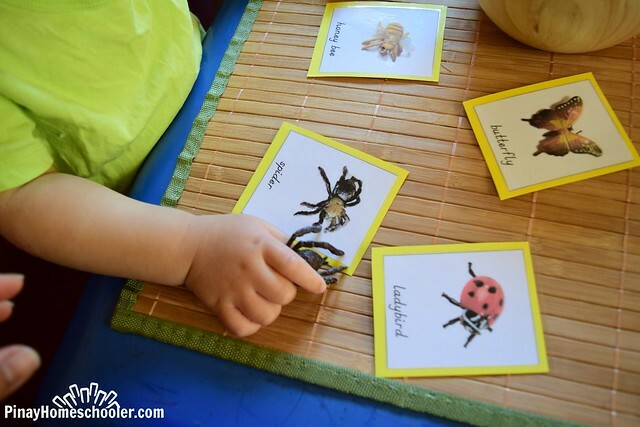 We are learning about insects this month! And because I'm exhausted most of the time doing separate activities for the boys, this time, I tried having a themed unit which both boys can enjoy. 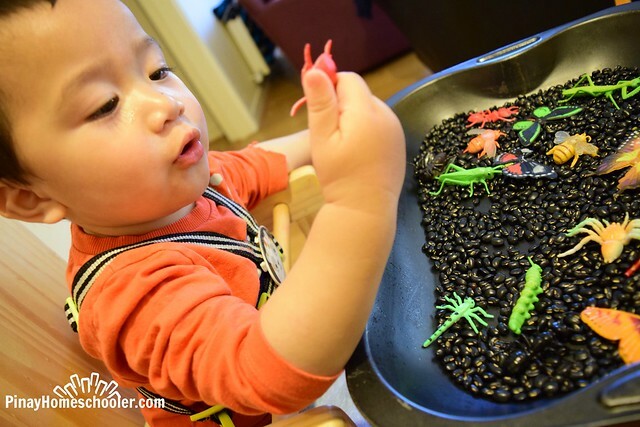 So while Mavi is learning about insects, Vito is learning as well, but in a different level. I will showcase Mavi's activities later on. In this post, allow me to present to you simple activities that will expose or introduce your little toddlers to insects. So for Vito, I prepared 3 simple activities for him to enjoy. 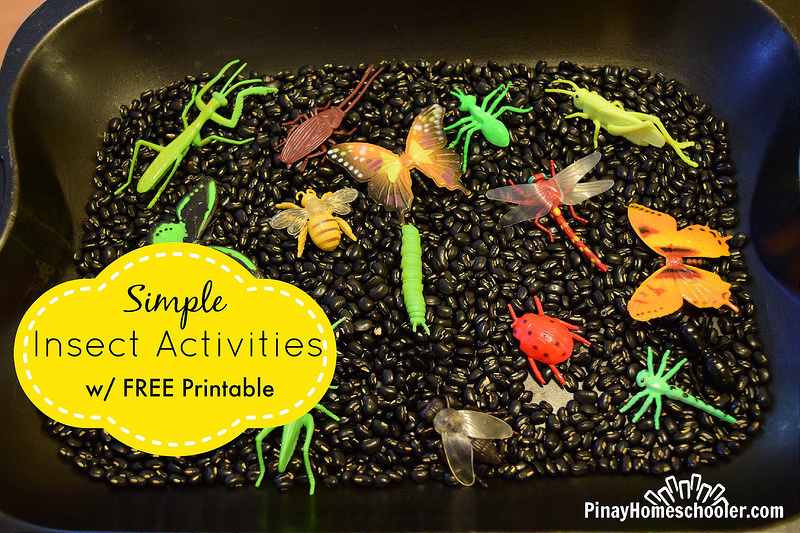 These are easy to prepare and I provided a printable file for the matching activity for your convenience. 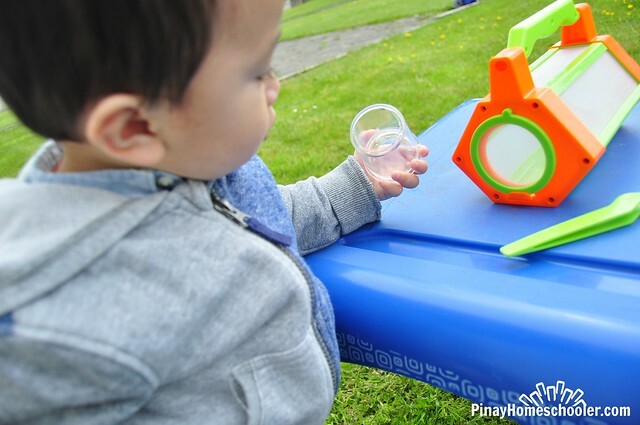 In less than a minute, I have a learning toy for Vito already! Oh my, he was sooooo giddy when he saw this! 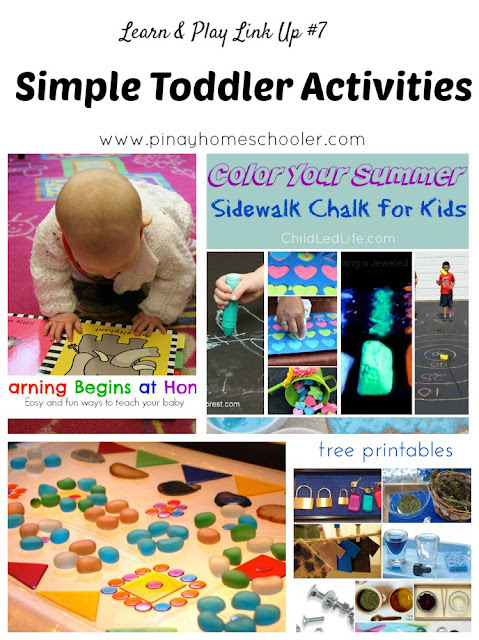 Allow your little ones to explore all that there is in the bin. Make sure to prepare your vacuum cleaner for the mess! But please, SUPERVISE YOUR CHILD ALL THE TIME. Vito mouths objects so I watch him like a hawk to make sure he won't swallow any of the beans. This is matching the insect figures to that of an abstract material, like the cards. I wanted to use picture books, to avoid printing. But I realized that Vito can match objects better if the pictures look exactly the same as those figures. 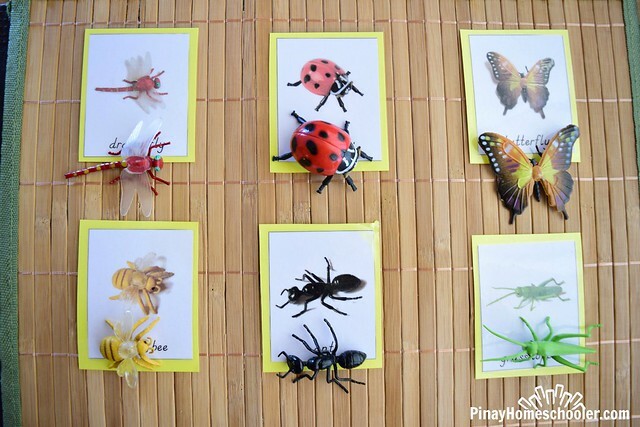 So I took photos of our insect figures and created matching cards from them. Yes, Vito can identify animals now, especially in books! So I experimented if he can do it with in matching cards. Like the cards? You can download it from here. I added spider even if it's NOT an insect because this is what Vito sees everyday outside our house. He can identify spider and calls them "der". So with an animal figure and a matching card, I tried if he can match them.... and he did!! So my conclusion here is that, for his age, he can only match cards of those he is familiar with in real life. Like the butterfly, the ladybird and the spider. The rest, he ignored them. That's a good start though. We'll work on this step by step. Three matching cards for a little toddler and I'll add one card as he progresses. 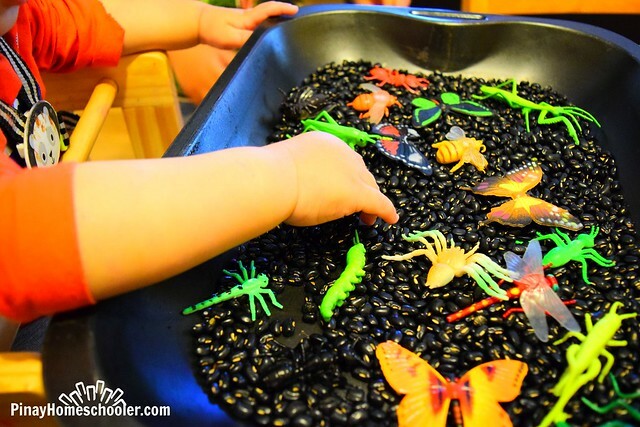 Of course, the best way to learn is to have a real life encounter with these creepy crawlers. I took out the boys in the yard and we searched for bugs. Unfortunately, the bugs decided to hibernate, so we only collected ants! Even so, Vito was still happy observing the tiny creatures! You might also want to check The Complete Guide to Insect Study for Grade-Schoolers from here.